Gyokuro means the best of green tea. Its manufacturing requires a great care. After a sprout comes out, their leaves are adjusted to get only 10% of the sun which increases a kind of amino acid, called theanine in the leaves. This adds rich taste and sweetness. Gyokuro tea leaves are processed until finely ground in a grindstone which keeps a great aroma in the chocolate. 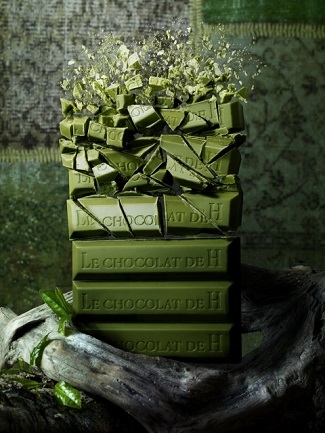 Enjoy the harmony of crispy crunch, white chocolate and the authentic green tea.